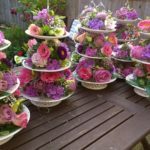 From the wedding bouquet and the cake, to the catering options and table centrepieces, at some point or another it begins to dawn on every bride and groom, just how much there is to think about. 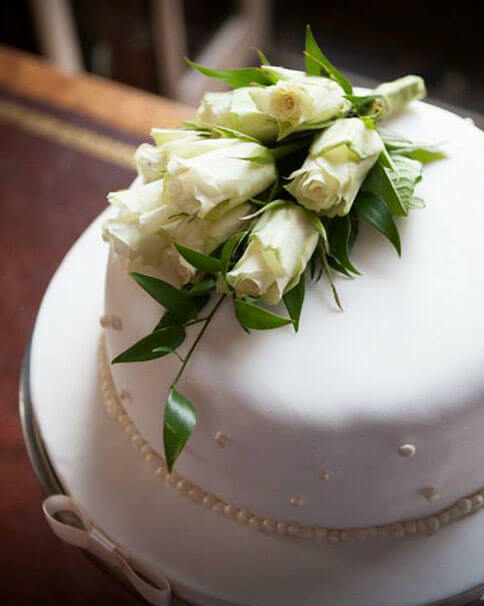 Every detail is down to you and being such a special occasion, the pressure is on to balance personal taste, guest list requirements, venue and budget. With so many choices out there on everything ‘wedding’, it can be a tad overwhelming. Whether it’s making lists of likes/dislikes, checking out Pinterest or going for a completely bespoke experience, ensure that you have ticked all the boxes of the decision-making process well in advance of the big day. It sounds almost absurd to say that but oh so often we see a soon to be Mr & Mrs leaving things to the last minute. 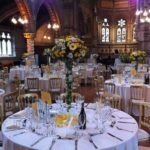 When it comes to flowers, of course you need to wait until you have your venue in order to dress it accordingly but don’t forget that the little details make a big difference. 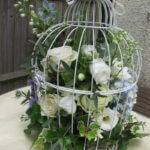 Floral designs in particular, make a big impact at any wedding… i.e. don’t leave booking for your until only a few months to go – get in early and start discussing your options. The things to consider; style, colour theme and most importantly venue space. Country style venues are particularly popular for the boho/shabby chic loving bride who of course idealises the outdoors. From beautifully converted barns with traditional beams, a real fireplace and to small intimate country pubs, with these venues, the theme is rustic and the atmosphere, cosy. To be in keeping with the style calls for medium to low centrepieces and floral centrepiece designs using jam jars, mason jars or even fish bowls are particularly of trend when it comes to boho chic and rustic styled weddings. Boho also doesn’t always have to mean budget bound – it’s not all about money, it’s about style. 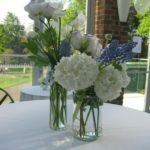 Done well, glass jar inspired flower arrangements are often much more chic than shabby. If the jars don’t quite capture your imagination, then maybe a trending wild flower floral runner will. 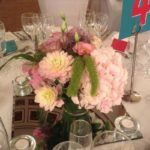 Add in some candles to give your design that little ‘something extra’ and your centrepiece will not only delight your guests but work with your venue, rather than against it. The idea of floral arrangements is, after all, to add to your wedding space and accentuate the beauty of it, not pose a battle of styles. 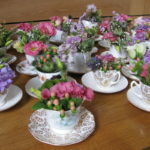 Urban wedding spaces such as a hall, hotel function room or a restaurant often call for medium to low floral centrepiece designs ranging from vintage teacups and bird cages to trending floral runners, medium height candelabras or varying vases of floating candles and submerged flowers. The world is really your oyster but consider the height of the ceiling and the space in the venue first and don’t aim too high. Creating height with the floral arrangements can, in these cases be counterintuitive – the last thing you want to make the room seem claustrophobic with florals that are saluting the ceiling. Just because your designs are low doesn’t mean that they can’t be as impressive as tall vase arrangements. 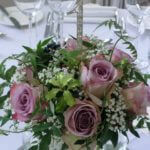 In fact, low centrepieces really allow both you and floral designer scope to be creative. Ballrooms, high ceiling 5* hotel dinning rooms, vaulted roofs and manor house grand halls complete with chandeliers, pillars and floor to ceiling windows are the tall vase, candelabra type venues. These rooms really have some space to fill where low arrangements would get lost amongst the architectural grandeur. 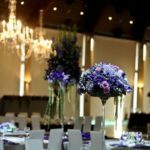 Here, aiming high is key and there are plenty of options with which to do this, from fluted vases, and hanging crystals or candles, to 5-arm candelabras and no end of flowers to suit. To add even more height, branches of willow, white birch branches or stems of hanging orchids will do the trick. You might event want to go as far as considering some ceiling florals too, depending on how decorative the ceiling already may be or not be of course.